Photo courtesy of Victrola Coffee. In recent years Honduras has made great strides in bringing exceptional coffees to market. In the past, transportation and processing issues have created challenges for a country that has all the right ingredients to produce great coffee. At the center of this shift is Beneficio San Vicente, a coffee mill in the Santa Barbara region of western Honduras. Located in the town of Peña Blanca and run by agronomist Angel Arturo Paz, Beneficio San Vicente has processed numerous Cup of Excellence winners from the surrounding villages of El Cielito, El Cedral, and Las Flores in recent years. 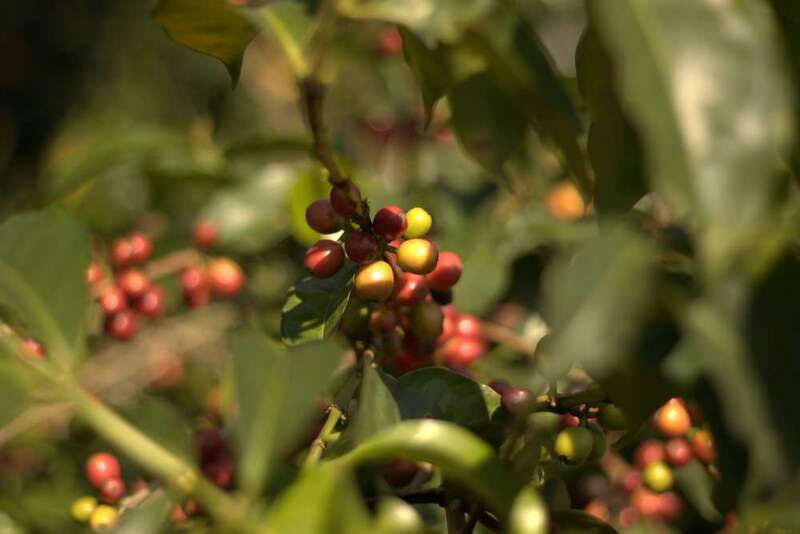 The coffees from these areas are known for their sweetness, lush fruit, and balance. This lot is named ‘Caracolillo’ because it is a peaberry sorted coffee. Caracol means snail in Spanish and is the local term used for a peaberry coffee. Caracolillo translates into English as little snail. The Caracolillo is a peaberry sorting of numerous small farms throughout the region, from El Cielito, El Cedral, El Sauce and Las Flores. The entire lot comprised of peaberries from all four towns yielded only two 150lb bags! This incredibly small lot is a wonderful representation of the nuance and delicacy that Honduran coffee is capable of when it is processed correctly. At the center of this attention to processing is Beneficio San Vicente, the same mill that finished our beautiful Honduras Denis Teruel lot. By paying close attention to the drying process and ensuring that the parchment coffee is dried evenly and quickly and not transporting coffee while it is wet, the clarity and sweetness of the coffee is preserved in remarkable cup quality. The effort and investment put forth into the processing of the Caracolillo shines through in the cup. Lush cherry and strawberry are carried with a bright, balanced acidity and complemented by maple sweetness while aromatics of milk chocolate and toasted pecans make this a truly pleasurable cup of coffee.